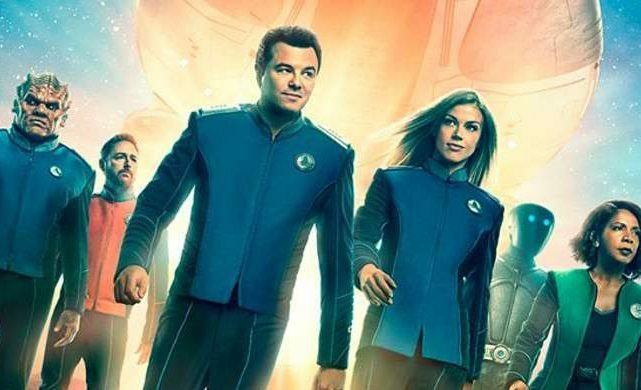 FOX has released the official poster for the upcoming second season of The Orville, featuring the sci-fi comedy show’s main cast that include Seth MacFarlene as Captain Ed Mercer. Season 2 is scheduled to premiere on Sunday, December 30 with new episodes set to resume on the series’ Thursday night timeslot. Check out the full poster below! In season two, Ed and Kelly’s relationship will take a new turn, while the ship’s crew will meet never-before-seen aliens, face old adversaries the Krill, make first contact with a new civilization and revisit the planet Moclus. The new season will include newcomers Jessica Szohr as a series regular and Chris Johnson for a recurring role. Adrianne Palicki co-stars in The Orville as Commander Kelly Grayson, Mercer’s ex-wife and his first officer. The show also features Penny Johnson Jerald as Dr. Claire Finn, Scott Grimes as Lieutenant Gordon Malloy, and Peter Macon as Lieutenant Commander Bortus. Additional cast members include Halston Sage as Lieutenant Alara Kitan, J. Lee as Lieutenant Commander John LaMarr, and Mark Jackson as Isaac. Star Trek veterans Robert Picardo and Marina Sirtis will guest star during the upcoming season. Additionally, Star Trek: The Next Generation co-star Jonathan Frakes is directing an episode as well. 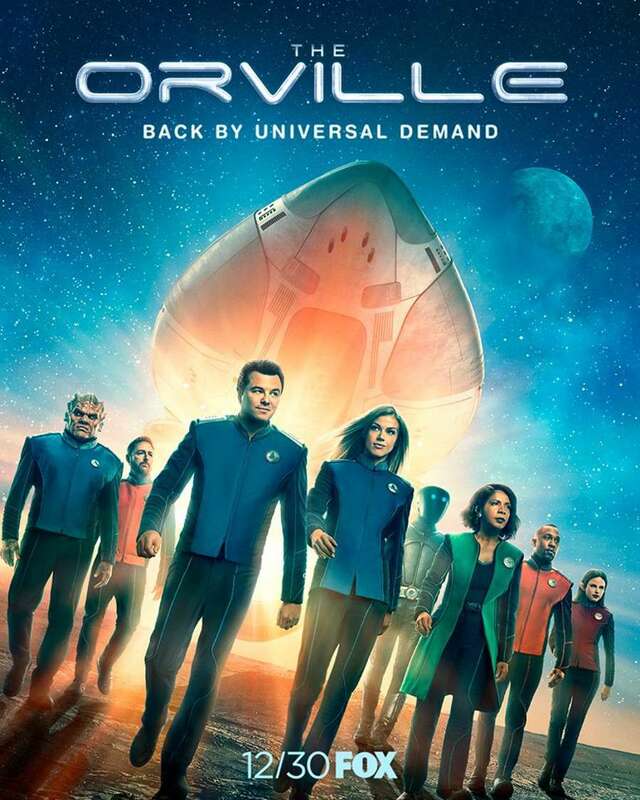 The post The Orville Season 2 Poster Released appeared first on ComingSoon.net.